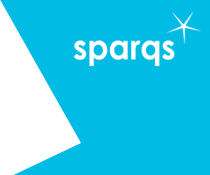 While for many years sparqs has employed a team of Associate Trainers to deliver its course rep training around the country, we have been moving to help institutions and students' associations to develop their own training, and to recruit and manage their own teams of trainers. We have called this programme the Institutional Associate Trainer (IAT) scheme. Training can be customised to the structures, cultures and needs of each institution. There is more flexibility in the potential number of timing of delivery with an institutional team rather than one accessed through sparqs. It retains the peer-led model and provides a development opportunity for students interested in this area of work. The IAT scheme began in 2011-12 with a pilot involving the University of Strathclyde Students’ Association (USSA), Glasgow University SRC (GUSRC) and Edinburgh University Students’ Association (EUSA). The scheme has now opened up to others around the country and now includes a number of both universities and colleges. We can provide a wealth of materials and guidance to support IAT recruitment, including application forms, interview questions, contracts, and so on, and can offer a member of sparqs staff as an external member of interview panels. We can support induction and development events for IAT teams, and we include them in our annual Associate Trainer event on the last weekend of August each year. This three-day training course equips trainers with the skills and knowledge necessary to fulfil their role, including a session for team-specific information and processes. The 2018 residential training event took place on 29th-31st August. You can view the Twitter story from the event, for an overview of what's involved in equipping institutional trainers to train course reps.
All student trainers receive an induction. There is a line manager in place in each institution, to provide support to the student trainers and act as a point of contact between the organisation and sparqs. All student trainers attend all the three days of training in August. Evaluation data from course rep training sessions is provided to sparqs to allow comparability of provision. For more information about the IAT scheme, please contact Nicola McIntosh.